September 28, 2018 Anaheim CA: Fortune Energy exhibited at Solar Power International 2018 in Anaheim California on September 24 to 28, 2018. This worldwide industry event is attended by an estimated 20,000+ solar professionals ever year to connect with potential business partners, get updated on new industry developments and present innovative new ideas. At the forefront of delivering Premium Customer Service to its nationwide network of commercial and residential solar installers, Fortune Energy brings its One-Stop Shop Solar Distribution Service to the show attendees. Competitive pricing of top-tier Solar Products is a highly effective strategy of Fortune Energy to boost business acquisition for new accounts. With business-aware pricing strategies, the Nationwide Distributor is able to work with contractors to find win-win scenarios both in terms of increasing profits and maintaining quality. 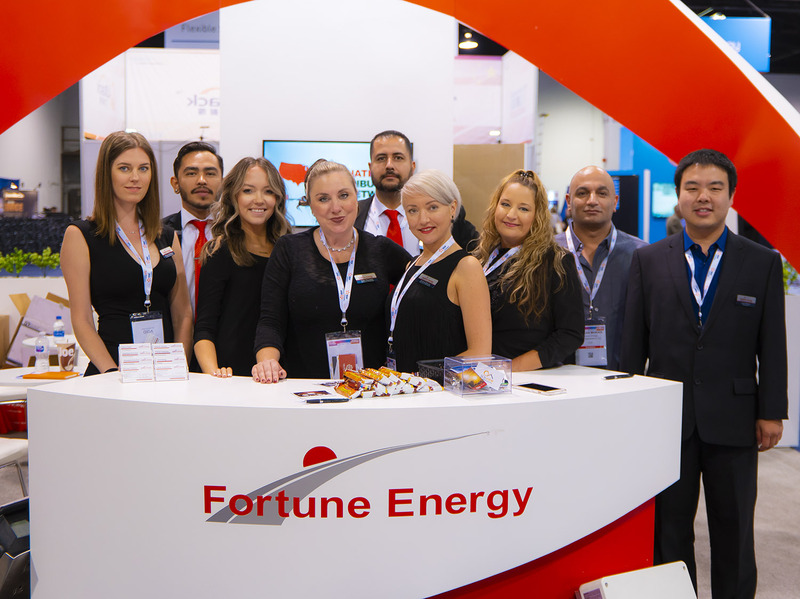 Joined by professionally esteemed associates in its Sacramento, Los Angeles, Boston and Texas branches, the Fortune Energy SPI action team made its presence known at the Anaheim Convention Center by extending the Premium Customer Experiences to booth visitors.